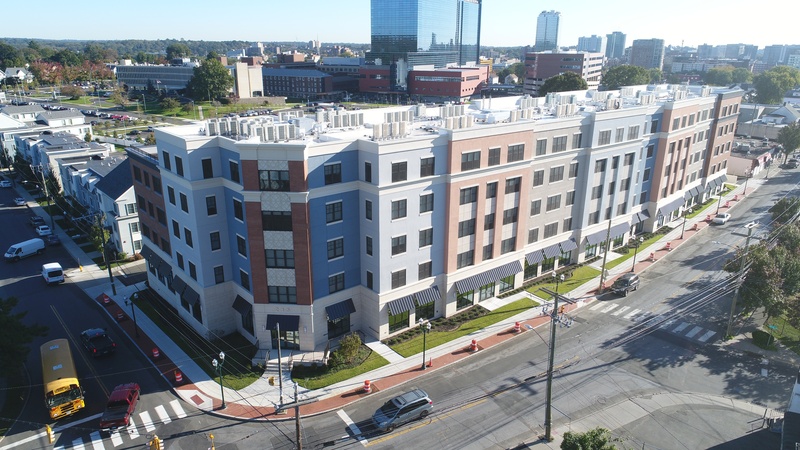 Completed in the summer of 2018 by Viking Construction; Park 215 is a mixed-use building comprised of 78 rental units and approximately 23,000 square feet of commercial shell space, adjacent to Lione Park. 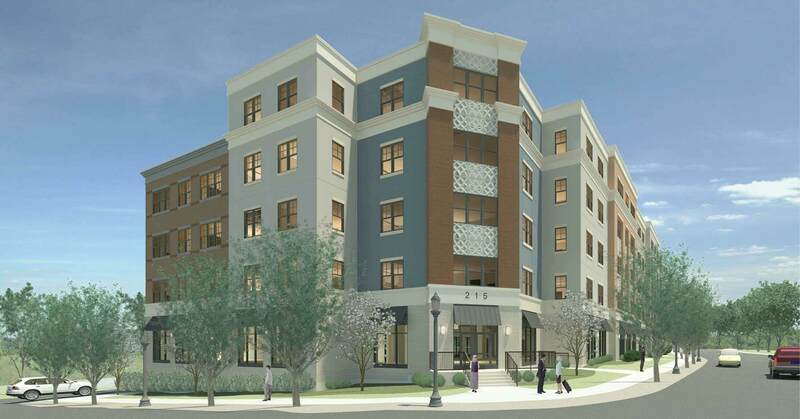 This project is the fourth phase of the $135 million, comprehensive and multi-phase, Vidal Court revitalization plan to replace a 216-unit rental apartment complex. This plan was first developed in 1955 under the State Moderate Rental Program to develop low and moderate income rental housing. 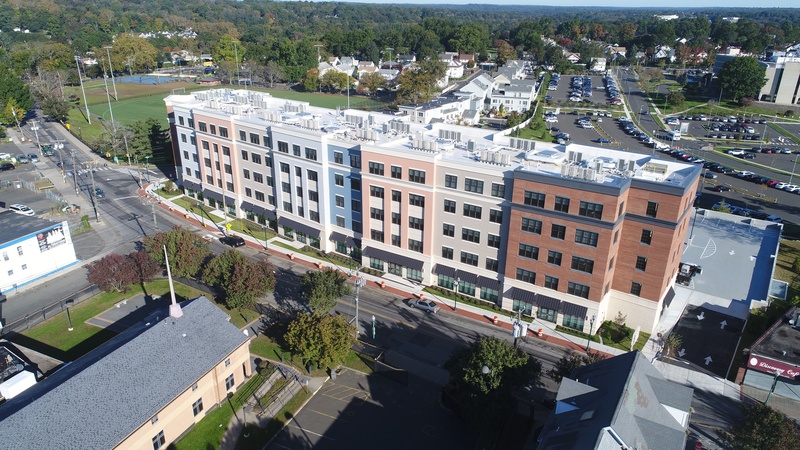 Housing redevelopment is a major objective in a larger city-wide initiative aimed at transforming Stamford’s West Side neighborhood into a thriving community focused on healthy living. Known as the Vita Health & Wellness District, this health revitalization effort will be anchored by this prominent new construction of Park 215 on the corner of Merrell and Stillwater Avenues. 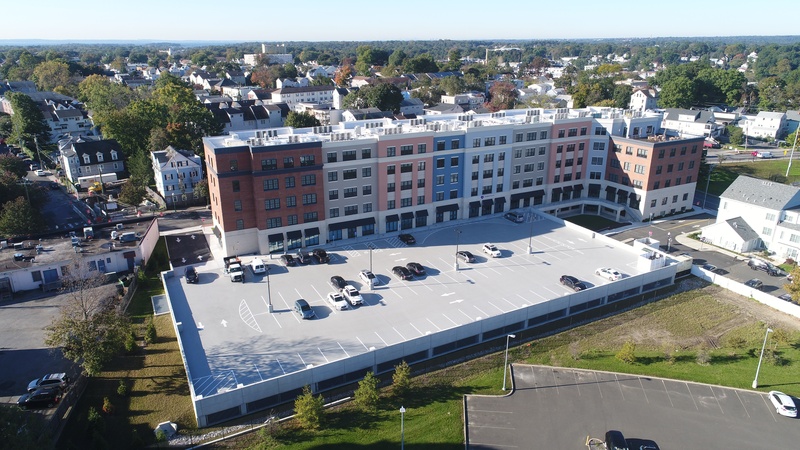 Located at the doorstep of the recently expanded Stamford Hospital, Park 215 provides a convenient residential location for their employees. Additionally, on the lower levels there are community and property management spaces, while the first floor is mainly occupied by commercial medical space for various physicians’ offices. In accordance with Vita's vision, the proximity of Park 215 to the hospital provides the opportunity for health services to begin permeating throughout the neighborhood, resulting in an increase in medical access for residents. Environmental sustainability is another pillar at the forefront of the neighborhood and the Vita healthy living initiative. The new development is designed to current Connecticut Housing Finance Authority (CHFA) requirements and to receive rebates from the local utility companies. We also designed the building to meet the EPA’s Energy Star Multifamily High Rise Program for New Construction. This shall allow our building to last decades into the future as a part of not just the Vidal Court community, but act as a fixture of the urban environment that will fosters healthy living. And since construction concluded in July, we were delighted to learn that that the majority of the units have been filled and that the community has been enjoying this playful intersection between design, health, and green living. 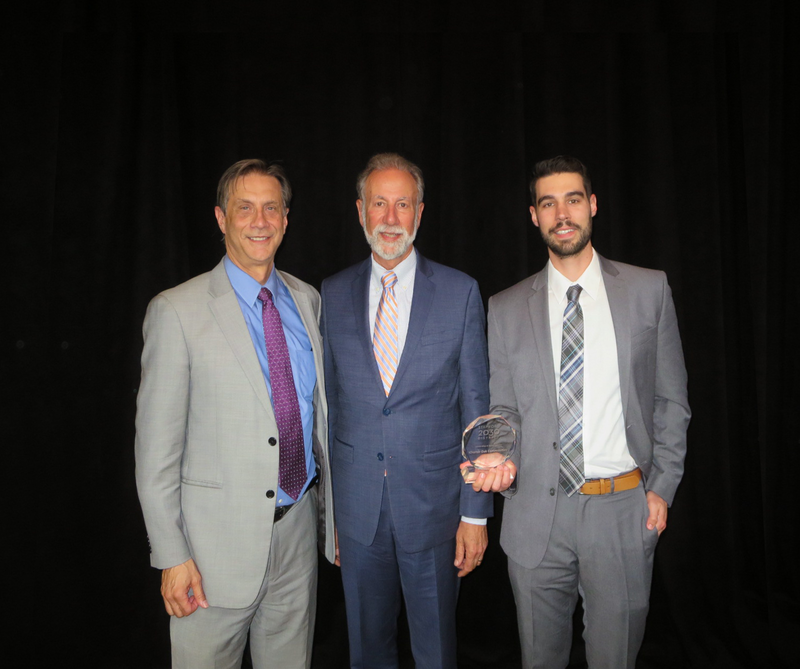 That is why we were honored to accept the annual Change Makers award earlier this year, from the Stamford 2030 District for designing a high-efficiency building in the community. Except for the 11-story hospital, Park 215 is the tallest building in the neighborhood at six stories tall. The new development is equally as extensive in length, stretching a full 350 feet down the block. To help blend the large development into urban context of the neighborhood, the team at Kenneth Boroson Architects employed multiple design strategies to visually minimize the scale of the building from the street. For example, we included a heavy cornice at the fourth-floor level to help create the of illusion of a shorter building. Additionally, the face of the building along Stillwater Ave. is slightly angled to mirror the street. This design decision delays a pedestrian from seeing the full length of the building, giving the impression of a smaller emerging structures. The main corridor plays off the same angle of the road, providing the residents with a similar illusion, allowing for the diminishing of the long and ominous hallway. We used various colors and materials to liven up the lengthy building elevation along Stillwater Ave.. The façade of the building is sectioned into “townhouse” like divisions, which are differentiated by projecting planes, alternating colors, and a combination of different materials. The first floor of the building features a precast veneer, resembling limestone, and includes storefronts with metal awnings, providing an urban aesthetic. 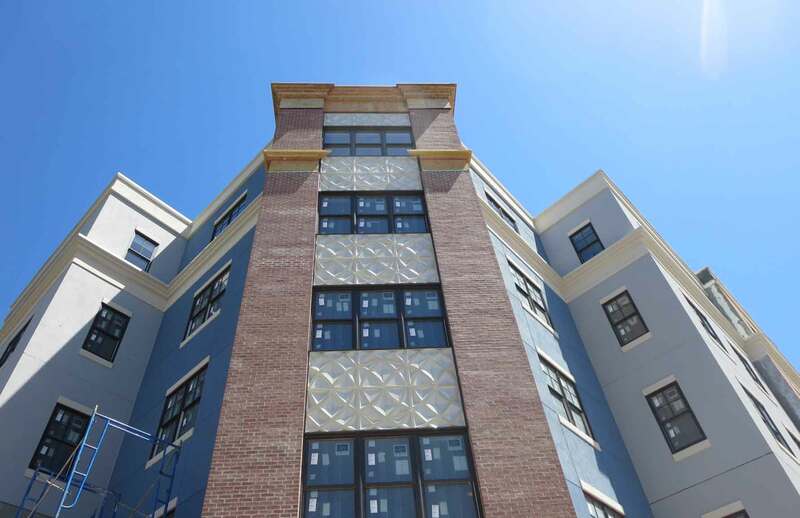 The upper floors are clad with a mix of colored EIFS, an exterior insulation finishing system, and bricks, which anchor the corners of the L-shaped building. A variety of window types are included in the design to provide further visual variation of the façade. Additionally, the architectural ornament, done by Kent Bloomer, is featured prominently at the street corner to enhance it's prominence, as well as signifying a larger context to the entrance of the Vita Health & Wellness District. The sloping topography at Park 215 provided us with an opportunity to conceal the two-level parking structure. The upper level is accessible to the commercial patrons from Stillwater Ave. and the lower level is accessible to the residents from Merrell. The ability to provide two levels of parking allowed for higher residential and higher commercial density for the building, which is determined by the number of parking spaces required for each of the building’s uses. In addition to covered parking, other amenities for residents include courtyard and roof deck access for outdoor recreation, as well as community and fitness spaces within the building. A mix of one and two-bedroom units are available to accommodate different residents. The two-bedrooms were further developed into two different variations. The first type is a “family” style space featuring bedrooms right next to each other. Then there is the “roommate” style configuration, where the bedrooms are separated by a mutual living area. Within the complex, approximately 60% of the apartments are subsidized and 40% are provided at the market rate. The creation of Park 215 is intended to be a magnet for development within the Vita Health & Wellness District. The variety of materials, flare of attractive color, and considerate design elevates the development above the standard apartment complex. Its convenient location coupled with its accommodations makes it a focus of activity for the surrounding community, strengthening the intersection of Merrell and Stillwater Avenues, and the neighborhood as a whole.